US Bureau of Labor Statistics: Occupation Outlook Guide - If you are looking to enter the job market or find information on career interests, the Bureau of Labor Statistics can help. You can read about the nature of the work, education and training requirements, advancement opportunities, employment, salary, and ten-year job outlook for hundreds of occupations. This site also offers career information for students, so you can find jobs that fit your interests. College Source - Thousands of college catalogs in full cover-to-cover, original page format representing 2-year, 4-year, graduate, professional, and international schools. 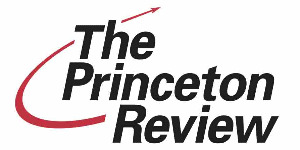 The Princeton Review College Guide - Find the college that's right for you! US News and World Report: Colleges - The U.S. News and World Report publishes a list of top ranking colleges of different types and in various areas of study. The College Board - The college board offers a number of resources for students planning for college, including a college search, financial and scholarship information, and test prep resources. At the library? Check out our college planning resources in the adult non-fiction and teen non-fiction sections under the call number 378.3. The Illinois Student Assistance Commission - the ISAC helps provide financial assistance to students in Illinois in order to pay for college. Federal Aid - FAFSA provides financial aid to many students to help pay for college.